In this class, you are going to learn how to restore and clean up old images. If you are photoshop beginner and want to learn new tools, this is a perfect class for you. 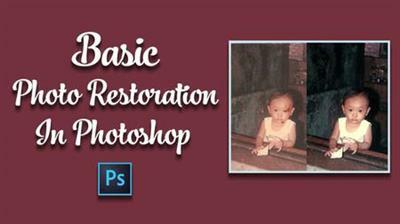 In this class, I will show you all the tools I use to restore damaged photographs. If you have old family pictures that you want to restore, and you haven't done any photo retouching before, this is a good start and you'll surely enjoy this one.